This type of coaching depends on step-by-step changes in bedtime, napping, and overnight routines so that your child can develop sleep independence, go to sleep on his/her own, and sleep more soundly and longer, while feeling confident that you as his/her parents will be nearby and responsive. 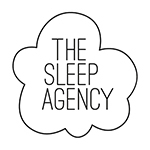 This method is based on the premise that sleep coaching can ultimately minimise tears and frustration, safeguarding your child’s mental health, while taking into account the parent’s beliefs and lifestyle. It will ensure parents follow a consistent path and aren’t overwhelmed by guilt. The result is a long-term solution that ultimately leaves a family feeling more balanced and happy. It’s a gentler alternative for families who emotionally or philosophically resist letting their babies cry it out; for families who tried “Ferber” (controlled crying) and it didn’t work, and for families who let their baby cry-it-out earlier but now find it isn’t a solution. It’s also for families who believe in co-sleeping, but find that their children aren’t sleeping well this way. At which age can I start Sleep Training my child? Sleep Training can be done with babies and children aged six months to six years. Susanne can also sleep coach four to six-month-olds and holds the relevant credentials to do so. This requires a different and more careful approach – before 18 weeks the child is neurologically, physically and emotionally just not ready. We can start working on Sleep Shaping younger babies with the Newborn Start package. Is crying damaging for a child in any form or way? When a young baby or toddler is crying, he/she is telling you that he wants or needs something. It’s all that he can concetrate on at that moment. When you calm him by helping him meet those needs, his brain can focus on other things. If you repeatedly ignore the cries, it can result in overstimulation and can lead to later difficulties. Research shows that a pattern of prolonged unattended crying can cause neurological damage, or have a negative effect on the ‘wiring’ of the brain, creating an insecure attachment. A few tears along the way won’t damage the psyche of a child, nor will it interfere with forming a secure attachment with parents. Can you guarantee ‘no crying’? No, no one really can. For example, if you as the parent have taught your child that the way to fall asleep is to be held closely for all naps, bedtime and wakings and you decide that you want to change this, your child will naturally protest or resist this change. After all, they don’t know why you have changed your approach. If your child is pre-verbal, or older than 18 months, they will cry. My goal is to see as little crying as possible. However, we will never ask you to leave your child crying and simply close the door. The GSC approach allows you to respond and stay with your child and offer physical and verbal reassurance without putting him/her to sleep. This supports the development of a secure attachment between parent and child. The Gentle Sleep Coach method is a proven solution that has been adopted by thousands of parents across the globe. It’s a method that has been formulated by Kim West, one of the most renowned sleep specialists in the world and there’s a success rate of 95%. Causes of failure include inconsistency of parents in following through or parents not being fully motivated, underlying medical conditions, the baby not being ready, postpartum depression. It depends on many factors like age and temperament but also current ‘sleep status’ of the child, but you should generally see results within two or three weeks.